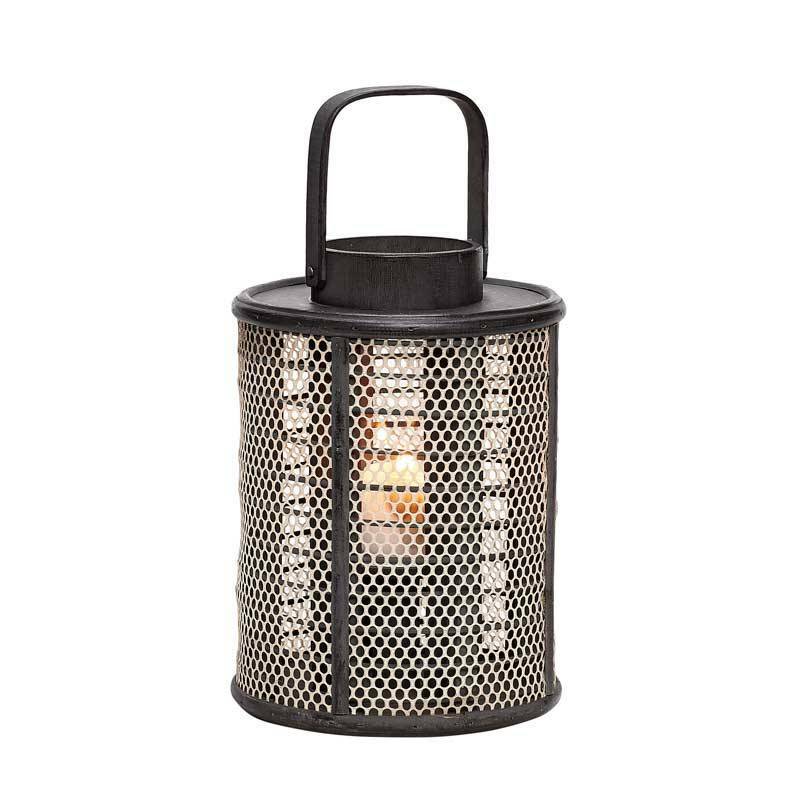 Attractive black wooden lantern with handle and light coloured metal mesh. For use with a tealight. 33 cm high. 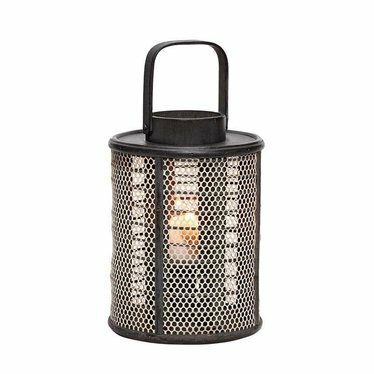 This lantern has something Oriental with its light black black wood, but is at the same time tightly woven by the light colored mesh (reminiscent of mesh of sportswear) around it. The ideal companion for on the balcony or in the living room. 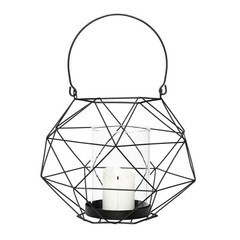 The lantern is equipped with a glass insert for a tea light. That is protected against wind gusts.